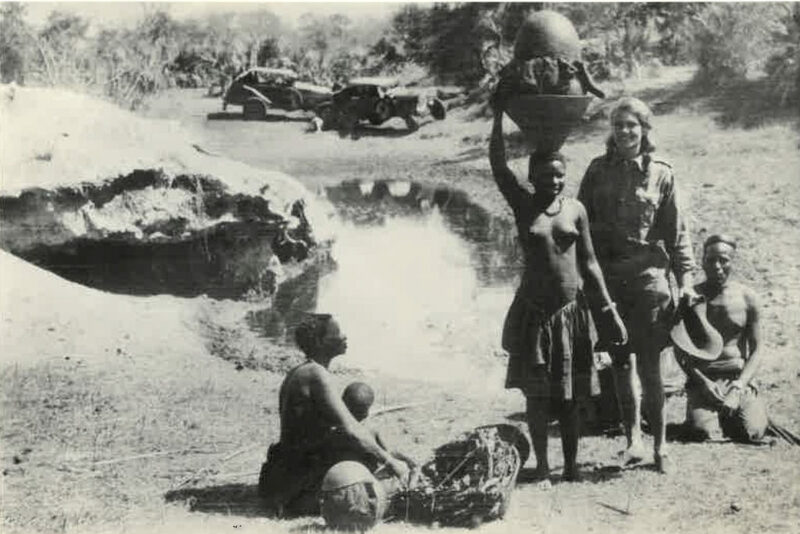 The life story of Aloha Wanderwell is worthy of the movies, as she lived a life of intrigue and adventure. 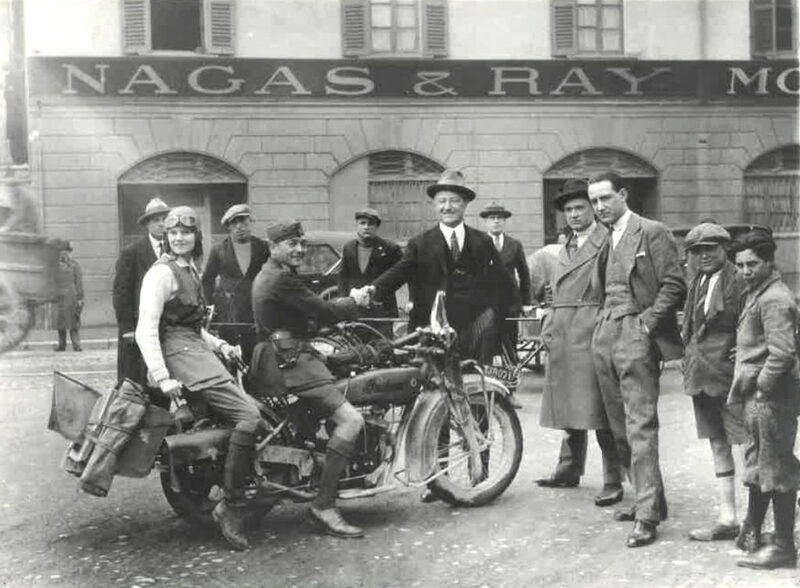 She was ‘the most traveled woman in the world’ in the 1920s and ’30s, and apparently the first woman to circumnavigate the globe by automobile. 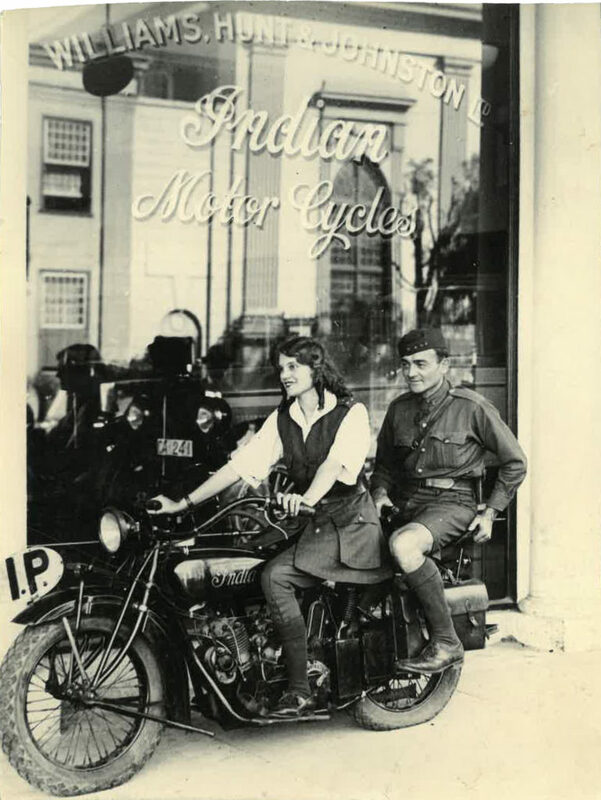 She was also a pilot, and a dab hand with an Indian motorcycle, which accompanied her and husband Walter Wanderwell on their travel tours of every continent. 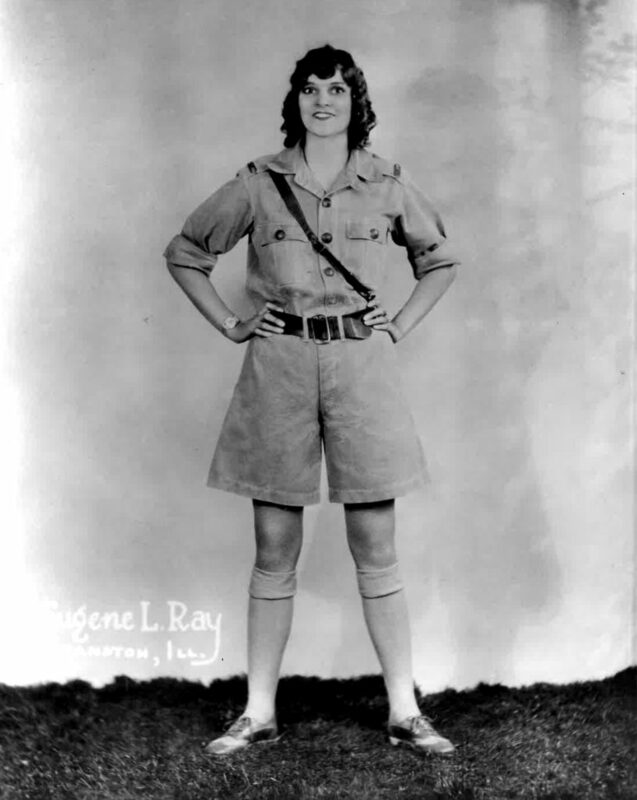 Luckily, she made films of her adventures traveling the world in the 1920s and ’30s, and it was her movies that caught our attention, as the Academy Film Archive (think Oscars), compiled some of Aloha’s donated footage into a short film of her remarkable life. Aloha was the stage name of Idris Welsh, born in Winnipeg, Canada, in 1906. 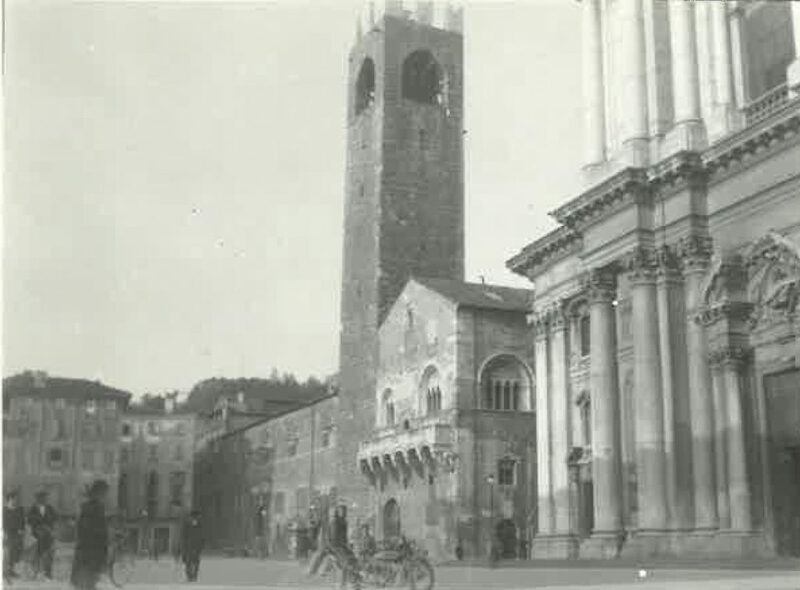 She spent her early years with her mother and developer step-father on Vancouver Island, but the whole family moved to Europe during WW1, where her step-father was a lieutenant in the Canadian Expeditionary Force. He was killed at Ypres in 1917, and Idris was sent to various boarding schools (in Belgium and France) to ‘tame her tomboy tendencies’. 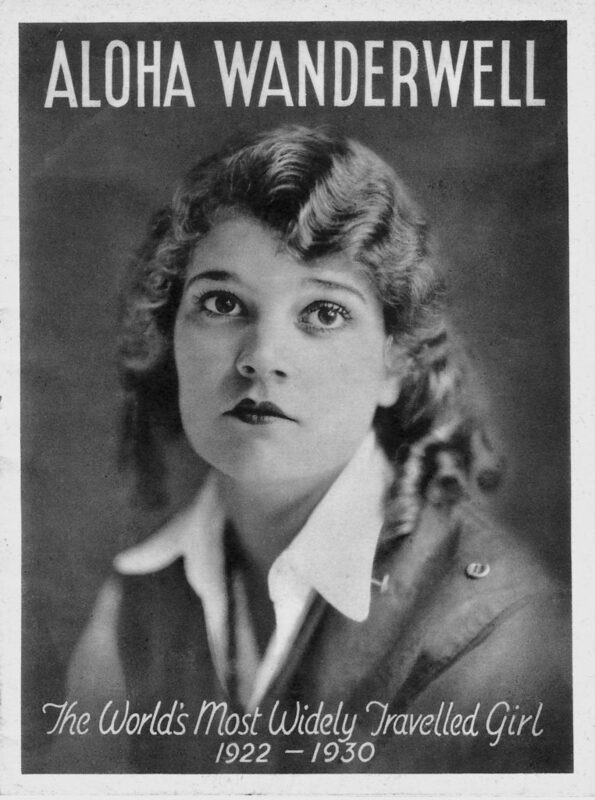 At 16 (in 1921), she answered an ad for a woman with “Brains, Beauty & Breeches – World Tour Offer For Lucky Young Woman…. 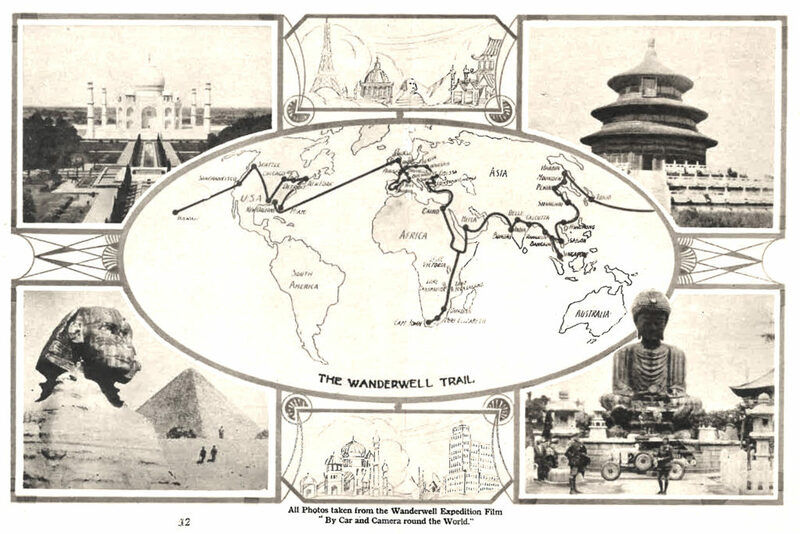 Wanted to join an expedition… Asia, Africa…” and took a job as Wanderwell’s translator (she could speak fluent French), secretary, and a driver of the three vehicles on the his round-the-world tour. 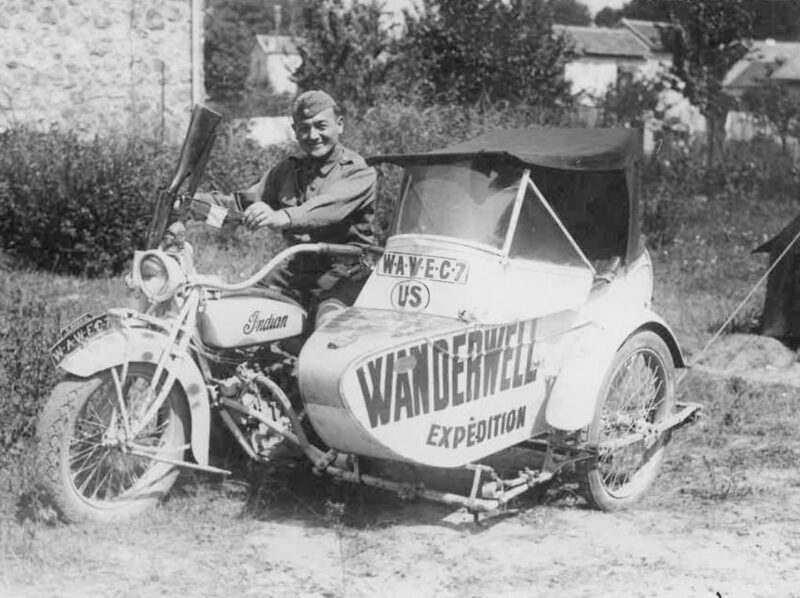 Walter Wanderwell’s trip was part of a ‘Million Dollar Wager’, effectively a race between Ford-sponsored teams driving Model Ts around the world, the winner being the team visiting the most countries. 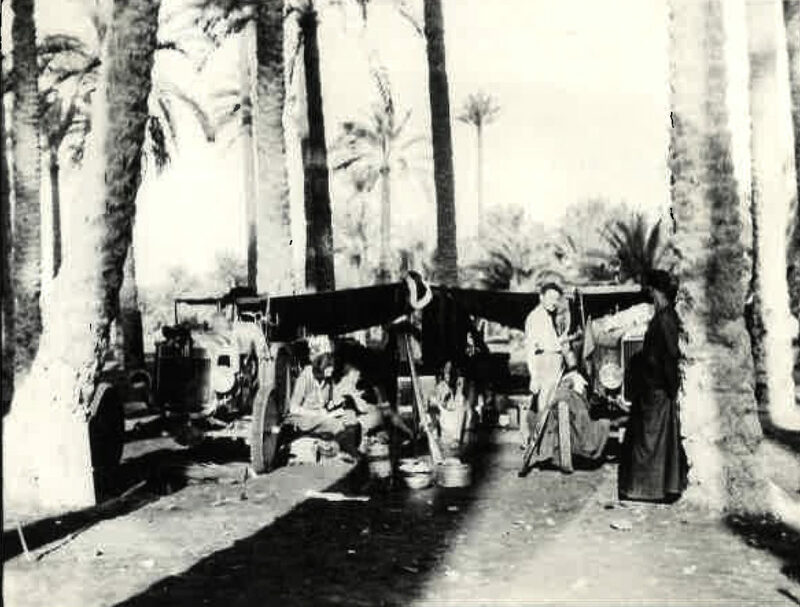 Wanderwell’s expedition was partly subsidized by lectures and film presentations along their route, as it left Nice, France, and traveled through Africa, the Middle East, Asia, and North America. 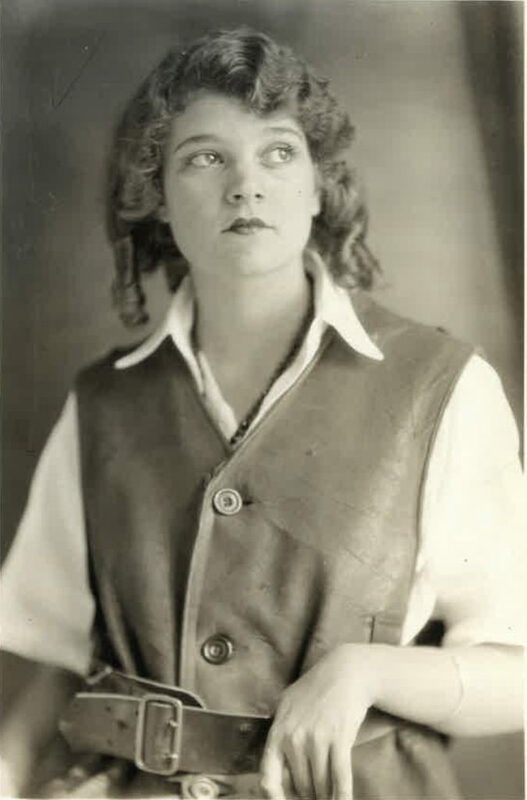 Not long into Idris’ journey, she took the stage name Aloha Wanderwell, even though Walter was married at the time; he soon divorced his wife, although he didn’t marry Aloha until 1925, in Riverside, California, partly because the FBI was planning to arrest him for violating the Mann Act, which prohibited crossing state lines with a woman for ‘immoral purposes’. Walter’s real name was Valerian Johannes Pieczynski, who had spent the bulk of WW1 in an American jail as a suspected German spy! 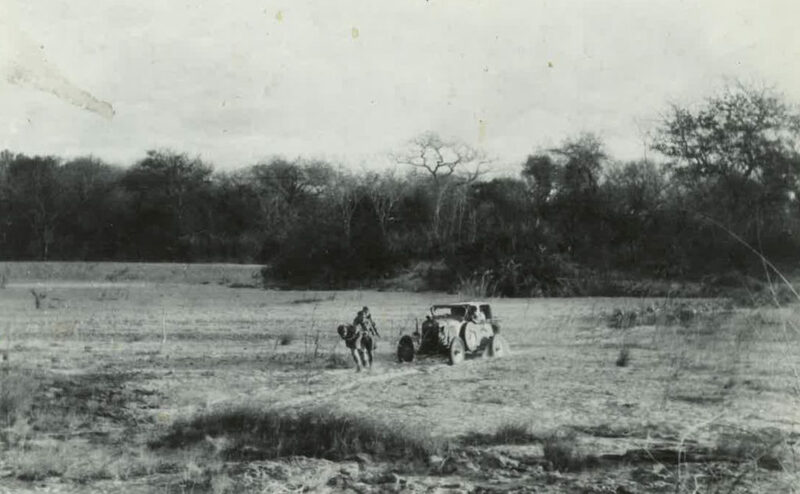 Traveling overland in the 1920s was extremely difficult, and it’s no wonder the expedition took four-and-a-half years to return to its starting point at Nice. Roads were poor or nonexistent in many places, there were often no maps, and gasoline was rare. 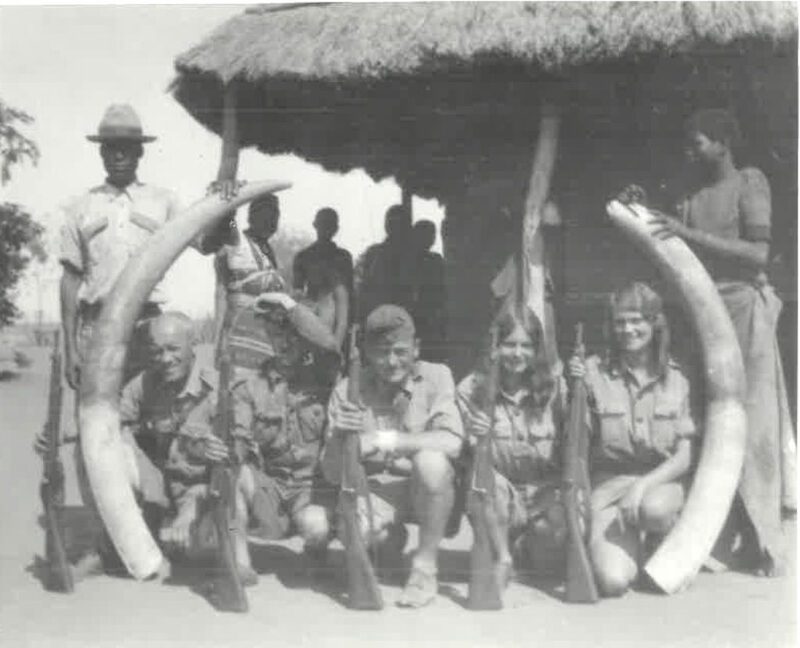 Moving across Africa between 1926-28, they were forced to use crushed bananas for grease, and elephant fat in their crankcases. 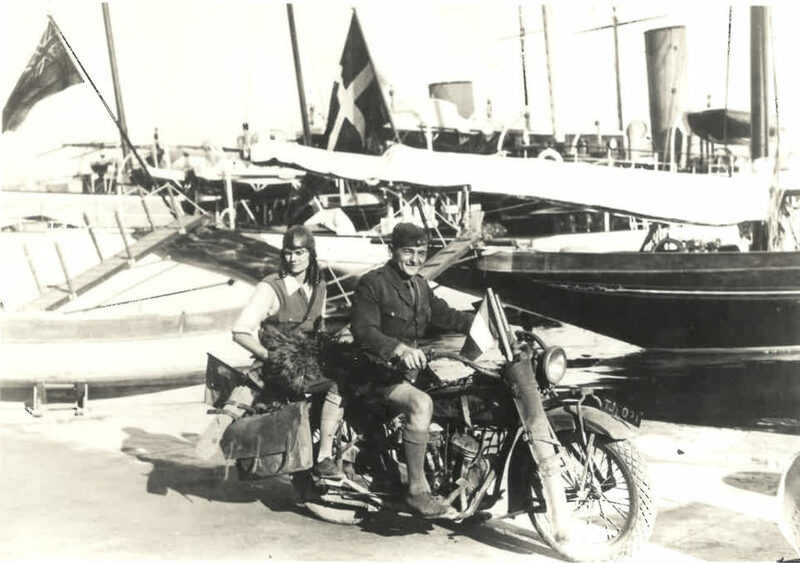 During the trip, Aloha gave birth to daughter Valri (1925) and son Nile (1927), who accompanied their parents on the journey. By 1929 they’d visited 43 countries, and donated their Model T ‘Little Lizzie’ to the Henry Ford Museum. Sadly, Henry Ford had Little Lizzie and 50 other cars in his collection scrapped during WW2 to supply metal collection drives. The Wanderwells settled in Miami in 1929. 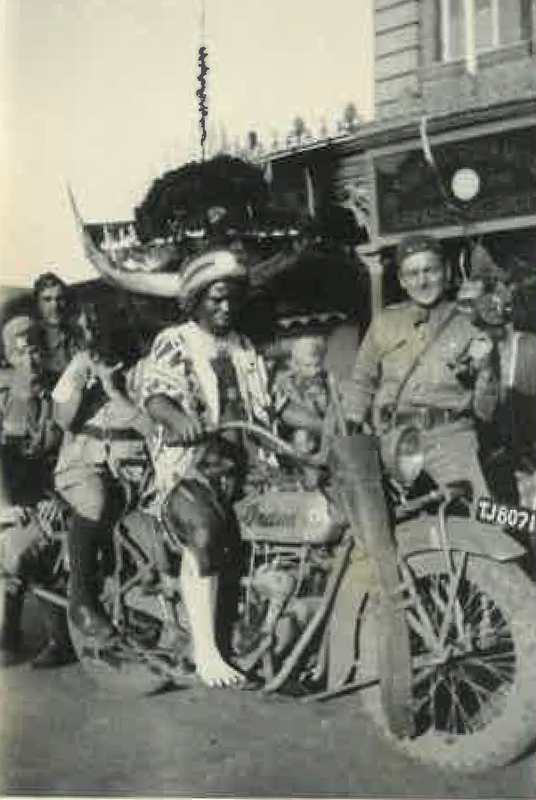 The expedition’s Indian Scout motorcycle was apparently supplied by Indian themselves, as mentioned in a letter to the Indian Motorcycle Co. in Jan.1931. 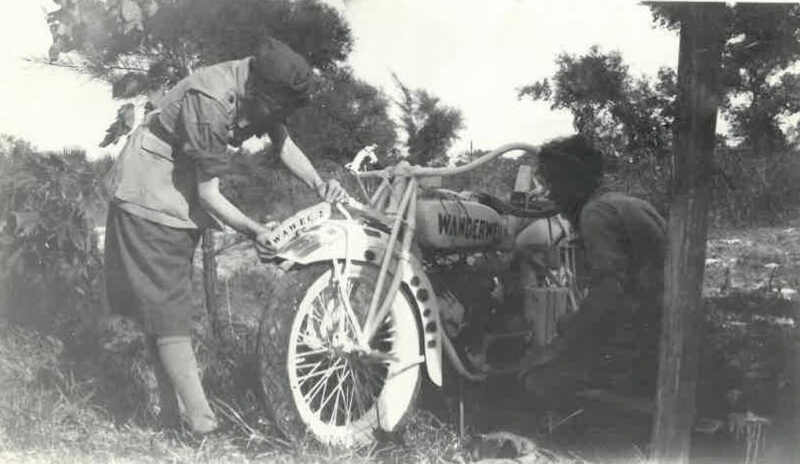 When the initial expedition was finished, the Scout was displayed on a red carpet in the Indian factory lobby, along with posters, letters, and photographs of the journey. 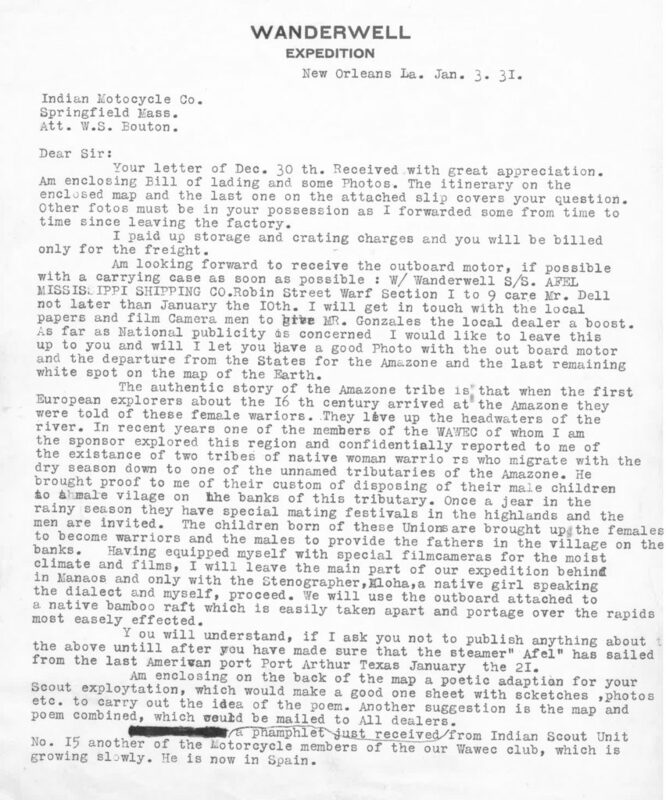 Aloha’s letter to the factory (reproduced here) includes a note that Indian also would supply an outboard motor for an Amazon expedition, where Aloha would travel only with a native stenographer/translator and a film camera in search of a pair of female warrior tribes living on an Amazon tributary! 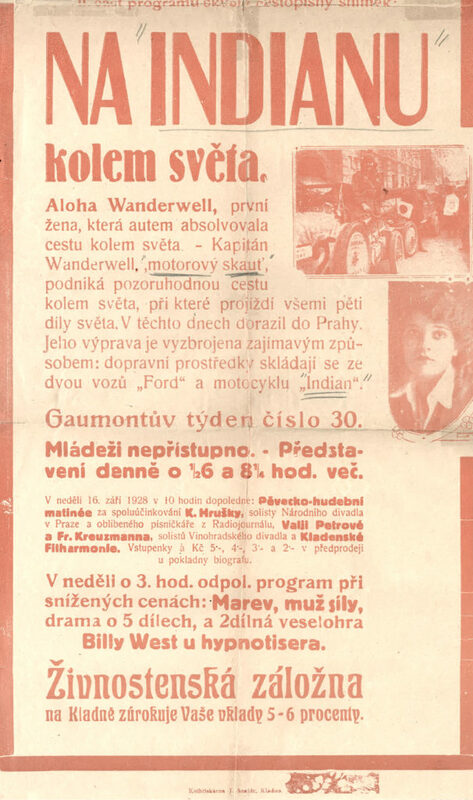 The letter from Aloha to the Indian factory (Attn: W.S. 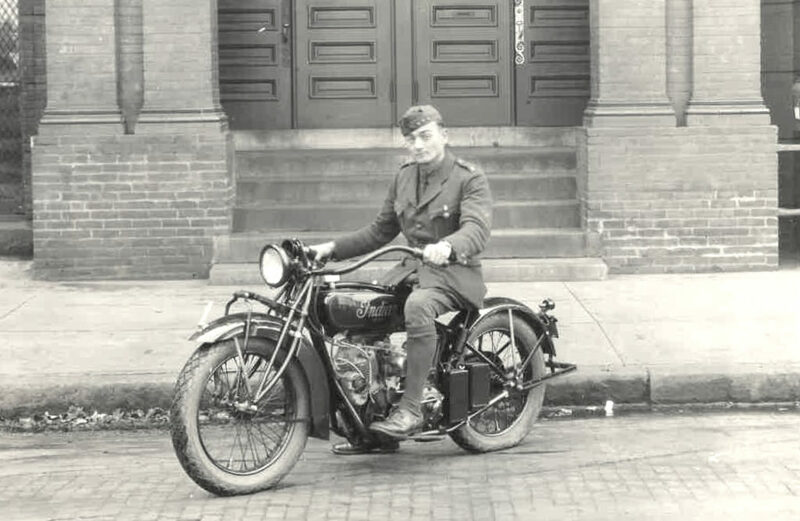 Bouton) is part of a trove of documents and photos donated to the National Motorcycle Museum in Anamosa, Iowa, by Aloha herself, later in life. 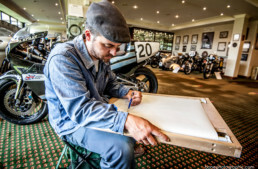 The photos used in this article (and Aloha’s notes from the back of the photos) are all from that trove, and used by kind permission of the National Motorcycle Museum. 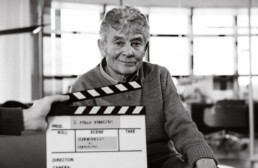 They had lain forgotten in the NMM’s archive, until Aloha’s family at the Richard Diamond Trust and www.alohawanderwell.com alerted our Editor for Film, Corinna Mantlo, about their existence! The couple was planning a trip by boat to the South Seas in 1932, and purchased a 110-ft yacht, ‘Carma.’ It might have been mis-spelled karma, though, as Walter was murdered on the boat on Dec. 5, 1932, the day before they were to sail. 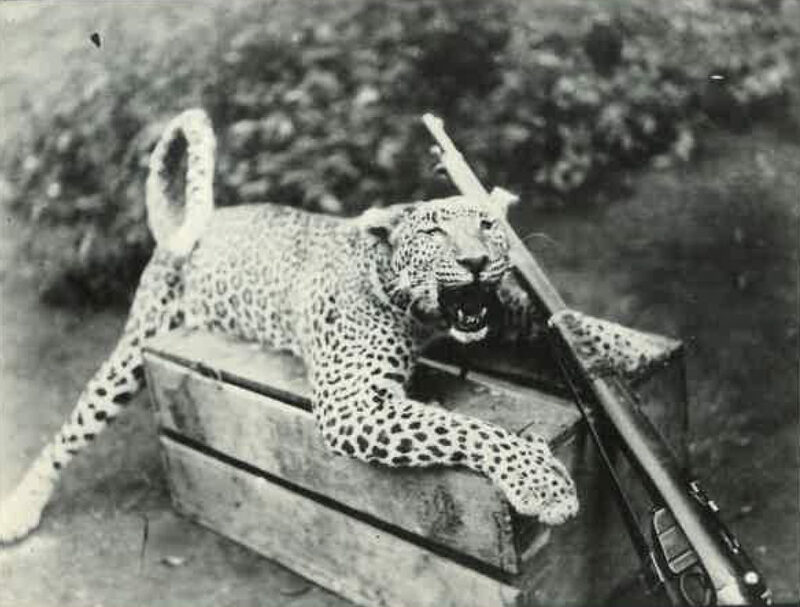 While a former team member who’d caused previous trouble was arrested, he was acquitted by a jury (he had an alibi), and no-one was ever convicted of the murder. 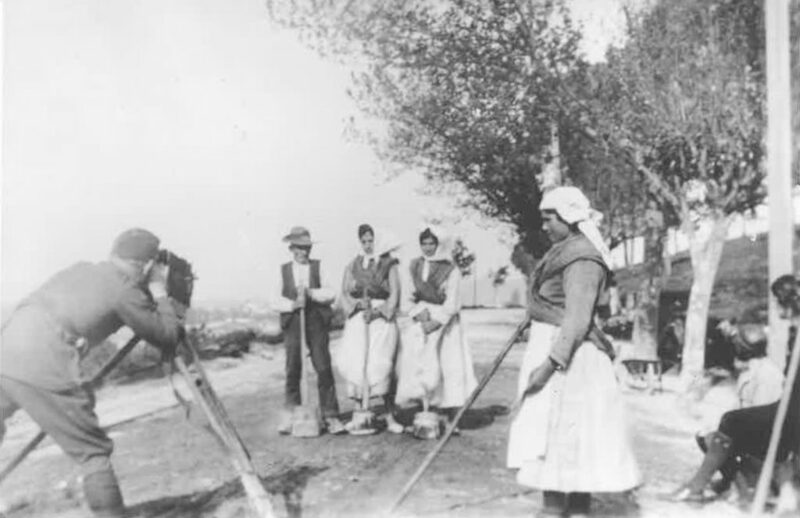 Aloha later remarried, to Walter Baker, and the couple also traveled extensively, making films and giving lectures of their travels. Aloha wrote an autobiography in 1939, ‘Call To Adventure!’, which was republished in 2012. Aloha worked in radio and print journalism and eventually ended up in Newport Beach, California, where she lived to 90 years old. 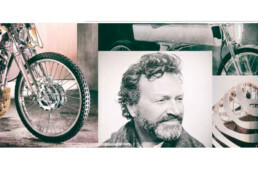 She had made a dozen films, was a motorcyclist, driver, pilot, explorer, author, and all-around pioneer, living a remarkable life that’s simply not possible today. Here’s to Aloha, our lost heroine, now lost no more! Absolutely loved this. Thank you.